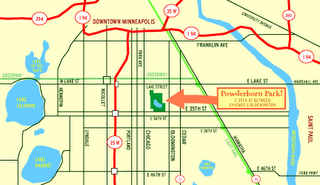 It's the Powderhorn Art Fair this weekend and we've been invited! We'll be in the Community Showcase area this year. It's from 10-6pm on Saturday and 10-5pm on Sunday at the Powderhorn Park. Hopefully we can have a full spot next year; we were too late to apply this year. That's one thing about art fairs...you have to apply way in advance. Note to self. Our friend Zabu passed on these 2 BBC articles re: Burkina. One is about motos and the other cotton.